We just finished our first semester of homeschool with my 8thand 9thgrade daughters. Actually, this week we started the second semester, and I am really hoping, praying, and planning that some things are much different from last semester. 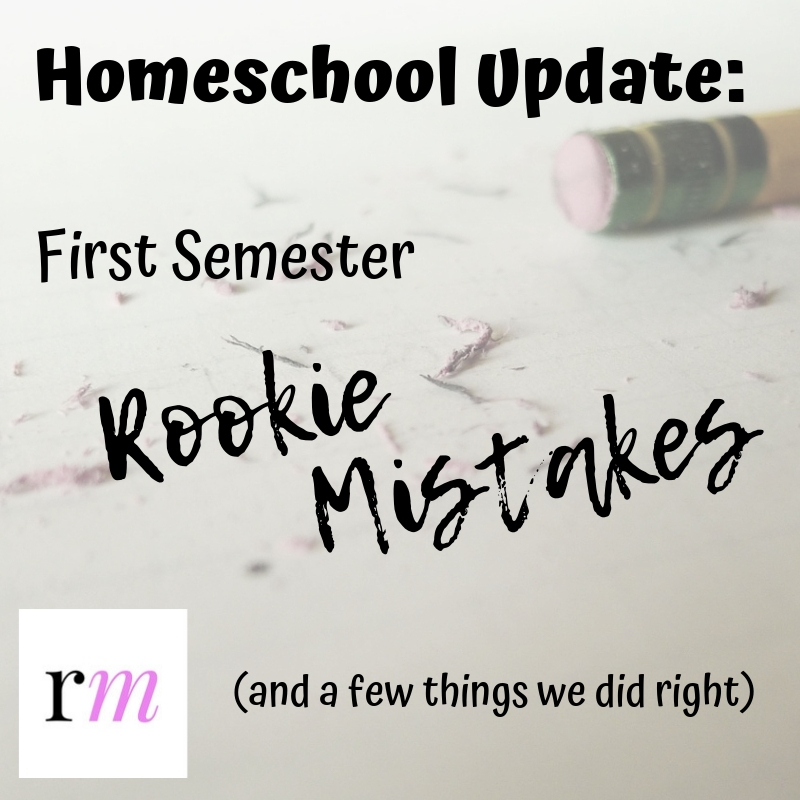 Having never homeschooled before, I had no idea what to expect, and I ended up both frustrated and overjoyed with our first semester. Our first semester was wonderful. We were able to spend so much time together, laugh a lot, and learn together (a few things, I think). Alyssa made great progress with Geometry. Sarah got to recover from her years at public school. We had field trips and movie days. The girls got a chance to catch up on some sleep. We did some fun projects. Our first semester was also frustrating. Some days, no one wanted to do any work. Some days the girls fought about everything. Some days we had to run around from activity to activity. I gave them too much to do one week and not enough the next. I bought lots of curriculum that no one liked (including me). We gave up on several (what I thought were) great ideas. I let them sleep in, then got annoyed with them sleeping in. I changed my philosophy several times. Some weeks I was all “let’s unschool!” and some weeks I was scheduling our every moment. I haven’t got it all figured out. I suspect all homeschoolers have these struggles, I just don’t know because we are so new at it. A wise homeschool mom3 told me to make a list of all of the things that went well to remind yourself that you have done good work with your kids, even if it feels like the opposite. I will start with that, but then share the things that didn’t go so well, so that you can learn from my rookie mistakes. Starting at 9:00am. Or later. Teenagers do not function well early in the morning. Especially when they know that I’m not giving them “detention” for too many tardies. Most of our best work has been done in the afternoon. And when it only takes about 3 hours a day to complete their work, why make them start early? Having a homeschool location away from home. We have an empty office space next to my husband’s office that we have made into what we are calling “the studio”. There are couches and a small kitchen and some game tables and bookshelves. It’s homey and it helps us separate our homeschooling from just hanging out at home. Sometimes we would stay home, but we stay on task better if we have a place to “go”. Enlisting help. My dad is meeting with us once a week or so to help me teach. We started with ethics/morality topics and are now doing literature studies. He is a natural teacher, wise and patient, and we love spending this time together. Dual enrollment. This might end up in each category. Having the ability to participate in our local high school allows the girls to be involved and see their friends, but the schedule is not conducive to being as spontaneous as we would like. For my kids who have always gone to traditional school, seeing their friends was the one thing they really missed about being home. So, we make do and schedule around classes. Our first geometry curriculum. BJU distance learning is what we started the semester with and it was way too difficult. Alyssa is good at math, and the way the course started out was over both our heads. A friend loaned us Math U See Geometry, and Alyssa is almost finished with the whole year already. Most of the rest of the BJU curriculum. It’s very traditional, prescribed, and like doing school at home. 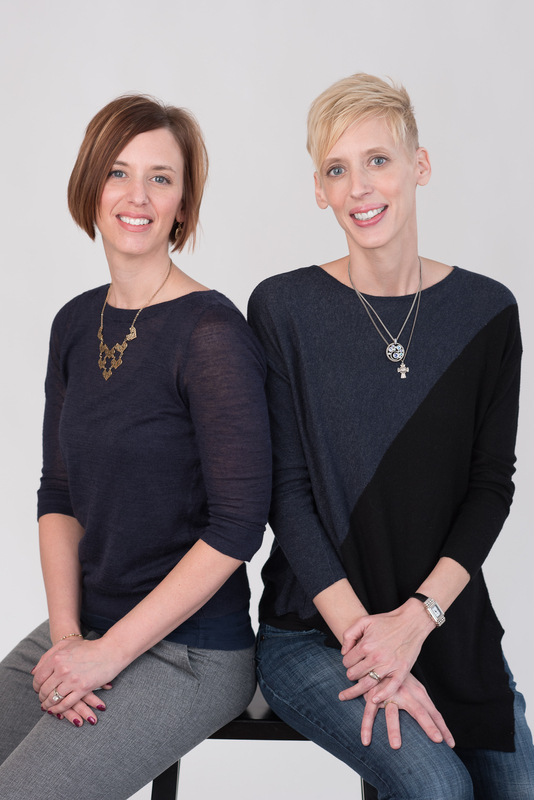 We wanted our homeschool to fit us, and what we started the year with did not feel like us. We struggled to figure out the girls learning styles at the beginning of the year, so we bought things that appealed to us, but not to them. Life of Fred math for Sarah. This book would have been great for me as a student (which is probably why we tried it). However, Sarah needs repetition of the same skill over and over, rather than a few problems of several different skills. Plus, there is a lot of reading in LOF, and she is not a reader. Too many subjects! We started with each of the girls having their own separate curriculum for each subject. This was way too much for us to manage. Now we are all doing the same language arts and history curriculum. Too much real curriculum! Really the only curriculum that I decided we really needed was math and science. Everything else we are making up as we go along, and it’s working. A daily schedule/to do list for the girls to follow. This led to many arguments that started with “did you get your school done today?” and ended with me yelling or taking away phones. Now I make a list for the week and they can work on whatever they feel like that day (or not). Alyssa is close to finishing geometry for the year, so I decided she can just work on that whenever she wants and we will have a final exam when she is done. Maybe next week, maybe in May.